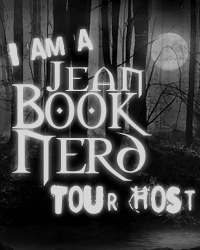 Hosted by I Am a Reader, Not a Writer & Eve's Fan Garden. 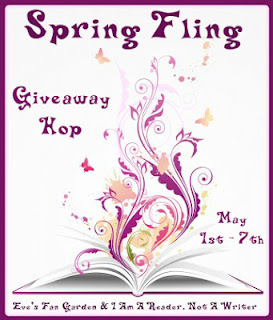 I'm so excited to be participating in a Giveaway Hop finally! And while I have some ARCs to giveaway, I thought I'd make this a really easy giveaway as May gets to be really busy with the end of the school year. I will be giving away a $10 gift card to Barnes and Noble to one winner. Please fill out the Rafflecopter below, and then click on the links below to go check out other giveaways from other bloggers participating in this hop. With all the controversy lately, I found this similar meme hosted by Tynga's Reviews and thought I'd join in. I don't really have anything to put on a shelf this week, but it is a book to read, so I'll share! 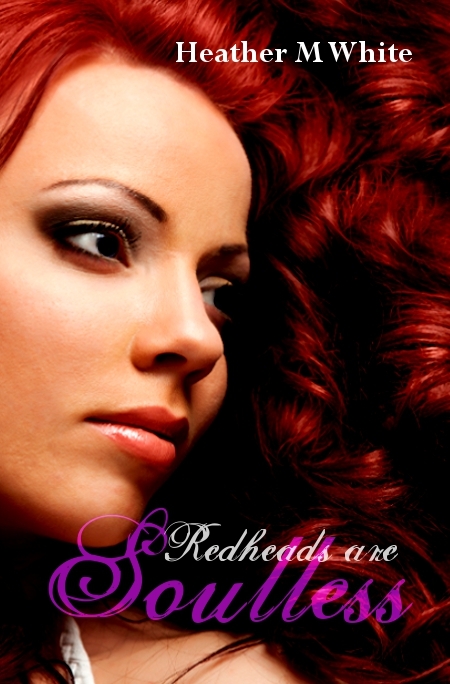 Since I'm going to be participating in a hop for the new book Redheads are Soulless by Heather White, I got a copy of the book to read on my e-reader. Although for some reason, I can't find it in my Adobe Digital Editions right now, it is on my computer. Hope I can figure out how to get it on my e-reader, or I may have to ask for a physical copy as I don't want to sit at my computer and read. Looking forward to reading it! 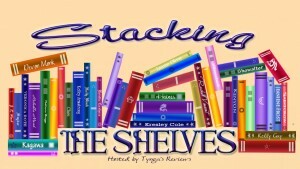 What are you stacking on your shelves this week? I have to say I love this cover! I love the read hair, it is so vibrant looking. The title amuses me because we've all heard people say this. But I have to say I always wished I had red hair. It's so unique and unusual, and I always wanted to be just a bit different. And the story sounds great! I can't wait to read it! I got this book from our school book fair last October. Then I put it in a cabinet at school because I used to keep a book to read at school. Well, mostly this year I've been bringing the actual book I've been reading with me to and from school each day. So, I completely forgot I had this book till I went to look for something else in that cabinet. So I got it home, and picked it up to read. Once again it was a good read from Paula Morris. I first learned of her from the book Ruined, which I also really enjoyed. Again we have a girl kind of out of her comfort zone, as our main character is Miranda who has moved to York with her parents while they are there on business/work. Miranda and her brother have a bad memory when they were in an accident and Miranda's best friend was killed in the car her brother was driving. Since then her brother can't stand to be in small places. And Miranda thinks she can now see ghosts. So, this town in England, of course, has lots of ghosts. And soon Miranda begins wondering how many ghosts she's seen that she didn't realize were ghosts. She also meets a guy named Nick who can see ghosts. And he offers to help her learn about the whole deal of seeing ghosts. Not only is Nick kind of cute, Miranda sees a really handsome guy in the attic across from where they're staying. But she soon figures out from what Nick has taught her about ghosts that the hot guy is also a ghost. There are lots of little connections, and some really interesting history of the town in this book. It kept me wondering and guessing who could be the so called bad guy that kept tearing up one of the local bars. And what is Nick really all about? Miranda soon learns who he really is, even if he does keep being really secretive. And his secrets could get Miranda and her family in some serious danger. A great ghost story, with a really good ending. I look forward to reading more books by Paula Morris. This book also makes my TBR list. Again I got this as a great deal as an e-book before they were being published. This will be published and available in a hard copy next Tuesday! Once again I was not disappointed. This book had romance, suspense, and even some new mythology about the Trylle or trolls. We start off right before Wendy's birthday, where she'll officially become princess as well as get married to Tove. She doesn't love Tove, but they're friends, and know that they can work together, and that may be just what the Trylle need to save them. However, Wendy's father Oren doesn't seem to be patient, he wants to rule all the trolls, and has started attacking the Trylle establishments. So Wendy must go find out why and find a way to stop him, at least until she can figure out how to get rid of him, since he obviously will not see reason. Loki is back after being beaten by her father for not doing his job of bringing Wendy back willingly or unwillingly, and he is asking for amnesty. Wendy grants it, and realizes maybe they can use him to figure out a way to beat her father. The marriage to Tove is only in name, and no romance there whatsoever, not even on the wedding night. But Loki is always flirting with Wendy, and Wendy begins wondering about her feelings for him. Finn has gone off with the Trackers, and since he's basically told her they can't be together, she's given up on him. Although he seems to catch her with Loki, and be jealous, while also scolding her for treating her "husband" that way. So now we have a love "square"? instead of a love triangle. The one thing I didn't want. Although, truly, there is no love between Tove and Wendy, and neither one are upset by it. And Wendy can say goodbye to Finn, because he basically refuses to be with her. But she has to decide if her love for Loki is really true, and enough to mess with the royal marriage. She becomes queen because her mother does die after using all her energy. My one complaint, I don't like that Wendy doesn't quite wait to find out about her love with Loki, I wish that she had waited, I'd have liked her a bit more. But not a big deal. I liked the way it ended, gave us a bit of the after story, enough to satisfy my need to know what happens next. 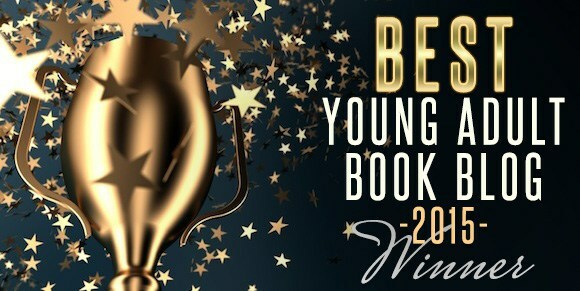 A great trilogy, and I look forward to reading more books by Amanda Hocking. 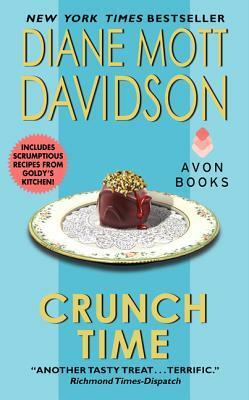 This will also go on my TBR pile challenge list as it has been on my e-reader for quite a while. 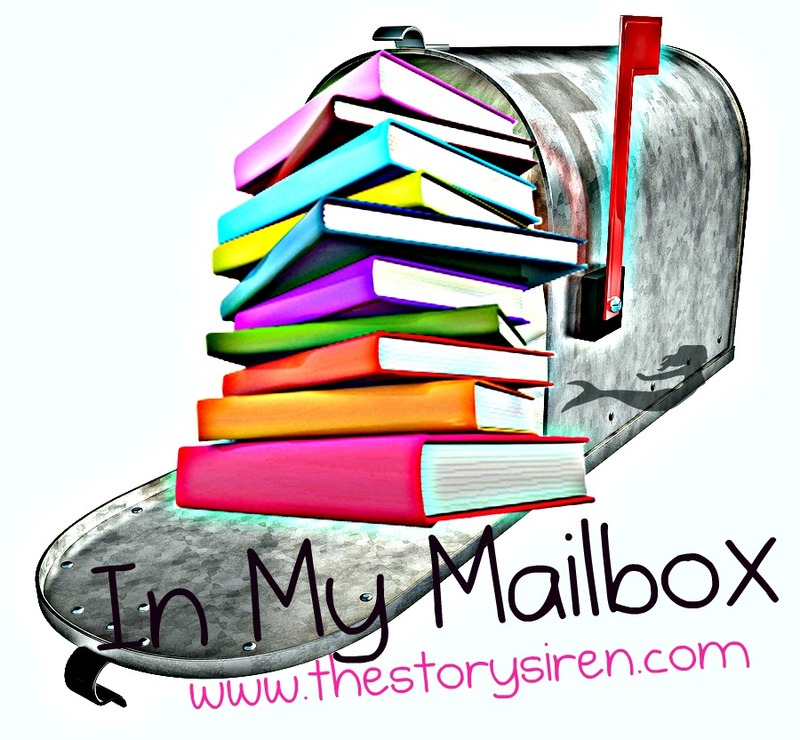 Waiting on Wednesday is a weekly event hosted by Jill at Breaking the Spine where we spotlight upcoming releases that we're eagerly awaiting. So, making sure to do this meme because the two books I got read this weekend I have to wait to post their reviews because of their publishing dates. So, wanted to do SOME blogging this week and keep my followers here. In a society where unwanted and troublesome teens are salvaged for their body parts, Connor, Risa and Lev continue to fight against the system that would 'unwind' them. Thanks to their high-profile revolt at the Happy Jack Harvest Camp, people can no longer turn a blind eye to unwinding. Ridding society of so-called troublesome teens might be convenient, but its morality has finally been brought into question and a new law passed. However, unwinding has become big business, and there are powerful political and corporate interests, not to mention the illegal 'Parts Pirates', that want to see it not only continue, but expand. Sounded like a really good book. Unfortunately there is no picture for a cover yet. The first book is one I've been hand selling at the bookstore where I work constantly. It's such a good story. When I heard there would be a sequel, I was very excited. And now to have a possible publishing date, this coming August, I couldn't be more excited! So, what books are you waiting on this Wednesday? This is a series I began reading back in 2009 when I was reading to help pick one of my state's award nominee list for the 2010-2011 school year. I believe it was the same year I read Hunger Games. You can read my review of Gone here. 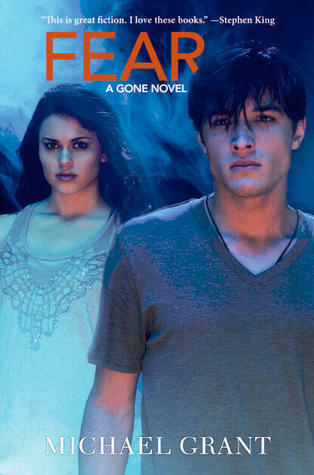 I would say it was probably my 2nd favorite from the list, after The Hunger Games of course. In fact I belive it might have been the runner up choice in the vote last year, which of course Hunger Games was the state winner. Anyway, all of the books have been really long, and this one wasn't any different, once again over 500 pages. The main theme of the story is that one day all the adults, or everyone over the age of 14 I think, disappear. Then the kids left soon find out that they are inside a huge dome. As someone else compared it recently to Lord of the Flies, in a way, that is the type of story. You have all these kids, some really, really young, that must learn how to take care of themselves, as well as those younger. And, to top it off, some of the kids have been developing strange new powers. Really fast, suspending gravity, creating balls of light/fire, etc. Throughout the last 4 books, we've gone through the fight for power between the "good" group led by Sam, against the "evil" group led by Caine, who we learned were twin brothers. But not only are they dealing with kids gone bad, but with an evil being that is also causing animals to mutate, and is called the gaiaphage. The kids eventually get a system going, fishing, farming, etc. The leadership changes as different things occur, and where we left off in the 4th book, Plague, one of the main players, Caine's 2nd in command, and love interest, Diana, is pregnant. But she has left Caine because he didn't listen to her and just stay out of all the drama, and she now is sorry for a lot of what she did and wants to turn over a new leaf it seems. So she goes to stay in Sam's new camp. We also learned in past books about how Astrid, Sam's love interest, and her little brother, Petey, who was autistic I think, she learned that it was Petey who was somehow controlling a lot of the bad things, and so Astrid had to sacrifice her brother to save others. Where we join in to this story, Astrid has gone off to live by herself in the wild, until she can forgive herself for what she's done to her brother. Caine and Albert are in charge of Perdido Beach, the town where it all began, and Sam has his following out at a lake by the military base they explored in book 4. What's neat is the map at the beginning of the book showing where everything is in the dome, or the FAYZ as it is called by the kids. Now, I have to say my favorite part was the very beginning, when we FINALLY got a glimpse out the outside, the parents, and what was going on in the "real" world. And then, we have chapters sprinkled throughout finding out what is going on outside, and what the scientists and military think about the dome and what to do about it. And what would you think? Yeah, they want to launch a nuclear bomb down underground at the bottom of the dome. Not caring which happens, either it destroys everything inside, or it could just open it up, and who knows what will happen. Inside the dome, something is changing, the dome is going black. It is soon going to be completely dark inside. The gaiaphage is losing its power, because without Petey, who was helping it without really knowing it, it has no physical body, and it needs one. And it locks onto Diana's baby, and so sends one of the worst villians from the series, Drake, to get her. Diana knows something is wrong, because she isn't that far along in her pregnancy, but is already bigger than she has read about in the pregnancy books. She also can feel the baby kicking, way before it should be. Now, I was pretty sure this was going to be the final book. Not that I'd ever heard it anywhere, but come on, 5 books at over 500 pages? That beats even the Harry Potter books! I think. And I did something I rarely do, in fact don't think I've done since New Moon, I went to the end of the book. I was looking for two things. First, for a little blurb about the next book in the series. There wasn't one. Second, I wanted to read what was going on at the end, but didn't want to see who was saying what. The lines I read on the last page sounded like a happy ending, like it was all over. But as I got to the end from actually reading it, I don't think it's done. Pretty sure the story will go on. I won't tell you why, I'll let you read on and see. In conclusion, another great story, kept me on the edge of my seat, and I literally read these 500 pages in 2 days. I couldn't put it down! If I hadn't gotten it done earlier tonight, I wouldn't have gone to sleep till I'd finished. Great book, now I'll just be hanging on till book 6. I ended up waiting longer than normal to read this next book in one of my favorite series, and really the only mystery series that I read. Normally I would check it out when it first came out, but I was so busy reading other things, that I ended up waiting till it was in paperback and then buying it. And even then, I didn't have the money when it first came out, so it was a month or two after it was released in paperback before I got to read it. And it was kind of nice to get back into this world that the author has created. I like Goldy Bear and her family. I love the relationship she has with her husband Tom who works for the Sheriff's department. They're so cute! I want a husband who will love me just like he loves her the way she is. As usual though, there has been a murder of someone that Goldy knows, and she has a friend in trouble that she needs to help, but also doesn't know if this person could have anything to do with what is going on. In fact, this is a really complicated mystery, as I might have guessed by the length of the book. Lots of stuff going on. As I saw another reviewer, this was a bit convoluted, but that's okay. I kind of liked how it all tied together at the end. I didn't really guess at first, which you can't, you don't actually know who one of the suspects is until towards the end, and even then, he is just a connection to the main murderer, or not even murderer, but mastermind behind a lot of what was happening. We don't get a lot of time with Arch in this book, he seems to be away at friends a lot. But that has happened more in each passing book. The recipes, as always, sound wonderful, but also much more difficult than anything I would ever attempt to cook. I don't mind cooking, but only pretty simple recipes. Now, here's what shocked me. Goldy says she's 37 in this book. I am wondering, how old was she when the series started back in 1990? Because I remember her being older than me I thought, and now I'm 2, almost 3 years older than her! Makes me feel really old! The ending leaves off that Goldy and Tom of course solve the mystery, after Goldy once again puts herself in danger trying to do it all on her own, and now Tom is thinking he'd like them to have a baby. So, that should be a big part of the next book. Which I hope there is one, although maybe a bit shorter and less convoluted with the mystery next time. All in all, a good read, and a nice visit back in Aspen Meadow with Goldy and her friends and family. I enjoyed the tv series this book is based on, and saw the books at the bookstore where I work. When they became strip cover books at the store, I took one or two of them home, and now that the series is no longer being filmed, I decided it was time to read them to get my fix of the show. Well, actually, I started reading this in September of 2010. I was keeping it in my car for when I went places and forgot to bring a book to read. I had been keeping books from the tv series The 4400, and those were always good for reading. But now that I have the Nook app on my iphone, and I'm doing better with bringing books with me, I didn't really get around to reading it. Plus, this book really needed to be read within shorter breaks, because it got kind of hard to keep up with the story when I hadn't read it in a while. So I brought it in the house and kept it by my nice Jacuzzi tub so that when I was reading on my Nook, or a book I'd checked out from the store, I would have a book I didn't mind if it accidentally got wet or dropped in the tub. GRRRRRR!! I just hit a key and it deleted my whole 2nd paragraph of this review! Then it automatically saved without it like 1 second! Okay, let's see if I can remember what all I said. First I had some complaints about the characters, Rick Payne, who was played by Jay Mohr, his character didn't seem to have quite the same part in helping Melinda as he did in the show. Then Delia, played by Camryn Manheim, seemed way more accepting of Melinda's "talent" than she did in the actual show. But again, not exactly sure maybe when in the timeline this was supposed to have occurred. Other than that, it really played just like an episode of the show. I liked that you didn't know who the killer was till the end. There were 3 ghosts bothering Melinda. One that knew exactly why he wanted to exact revenge on, even if the person he chose wasn't actually the killer, just someone who didn't do anything to help him. The other seemed really confused, didn't know who he was or what he wanted, or at least couldn't really communicate with Melinda. All he could do was keep repeating "swing, batter, batter, swing" and usually at times that it warned Melinda to upcoming danger. But soon we learned the connection between the ghosts. And the way their issues were solved was a good way I think. I'll be sure to read the next book I have from this series in a similar way. But I may skip to one about the tv series Eureka next. Especially since that show only has part of a season left before it is cancelled. While I already have The Hunger Games in hardcover, I can now share the paperback movie tie-in cover copy with people who want to read it, so I don't have to worry about losing my hardcover copy. But I love having the tribute guide from the movies, and I love the movie companion book, and I do have to say that after seeing the movie a 2nd time, I'm much more happy with the movie. I think I was very tired at the midnight premiere and may have actually slept through some parts. I have all the movie companion books for the Twilight movies, well, I haven't bought the Breaking Dawn one yet, but otherwise I do. Such an exciting week! 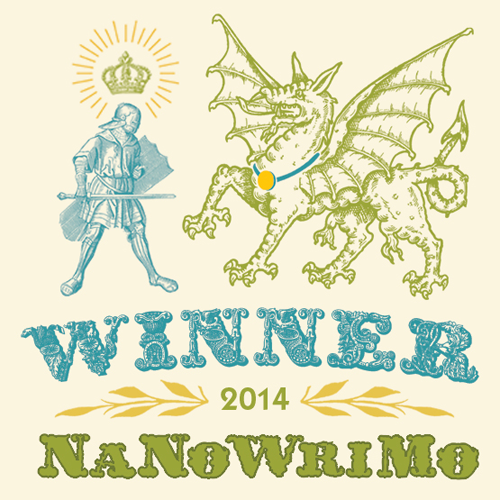 It has made me redouble my efforts to win contests through blogs. 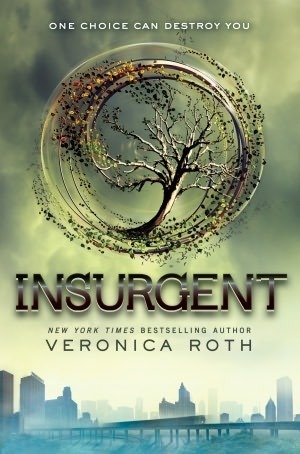 Especially some of the great ones going on right now, especially the ones for an Insurgent ARC. I want to say thank you to both Netgalley and Thomas Nelson publishing for letting me read an egalley of this book. This was a very good story, I liked all the technology and the back story, and the characters were good too. However, I picked this book to read because I am a huge fan of the Left Behind series by Tim LaHaye and Jerry B. Jenkins. I mean I knew about the "mark" and all that before I read the Left Behind series, but since that book it has really kind of been something in the back of my mind. And I guess that series kind of has shaped my beliefs and thoughts on those stories from Revelations, so much though that events in the past four or five years even reminded me so much of things from the book that I began to wonder if we were in those times. :-) Now, I was a bit confused with this story. Our main character is Logan, and he is nervous about getting the mark because when his sister went to get it, something went wrong and she died. And ever since then he has felt very paranoid that he is being watched. The other main character is Erin who has just had to move away from her big city life because her father must go to the small town that Logan lives in, because there is a big case dealing with someone named Peck. Erin looks through some boxes her father left sitting out at their new place, and becomes involved because she figures the sooner this case is solved, the sooner she can move back to her home and her family can go back to normal. Turns out Logan isn't just paranoid, he is being watched, and it is by the group that Erin's father is trying to catch. The story was really good as I said at the beginning of this review. However, what I don't understand is how the people not getting the mark are acting. Yes, I understand that to the main society they are thought to be "losers" and the scum of the Earth. That is the whole story. But really there is really only one or two parts that even allude to the mark having anything to do with religion and God. I did like that the "warehouse" that Peck was staying in was so obviously a church, and that the kids didn't really know what it was due to how the world had changed while they grew up. But this is obviously going to be a part of a series, so I'm eager to read on and see when we get to the point that we pull these things into the story. I guess I just assumed that a book from this publisher would be more religious, but maybe that is the point of not putting it so in your face, so that more kids will read it. I do know I will recommend it to the kids who liked the Left Behind series for kids! Ashline Wilde is about to discover that when you’re the reincarnation of a Polynesian volcano goddess, “new beginnings” are just a myth. Ash isn’t without help, however. Unexpected romance arrives in the form of Wes, an Aztec god of night with his own vendetta against the Four Seasons. As memories of Ash’s previous life begin to flicker into her dreams, the boundaries between ally and enemy, life and death, and love and hate all bleed together. 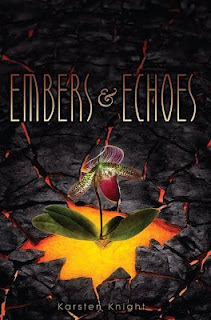 And when a mysterious trickster from her past reappears to derail her new quest, Ash must choose between the echoes of a once-forgotten yesterday and the embers of an uncertain future. Because when old flames return from the dead, even a volcano goddess can get burned. I'm very excited by this one! Hoping I can once again get an egalley from Netgalley. The author is a pretty humorous guy in real life, I follow his blog and his Twitter, and he is an author who does actually reply! 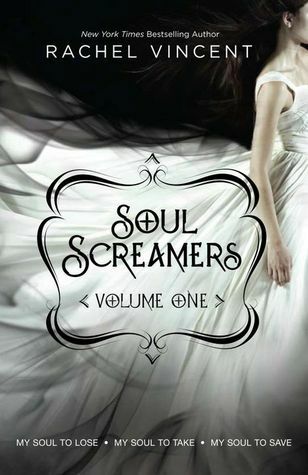 And, check out that cover, how beautiful is that? 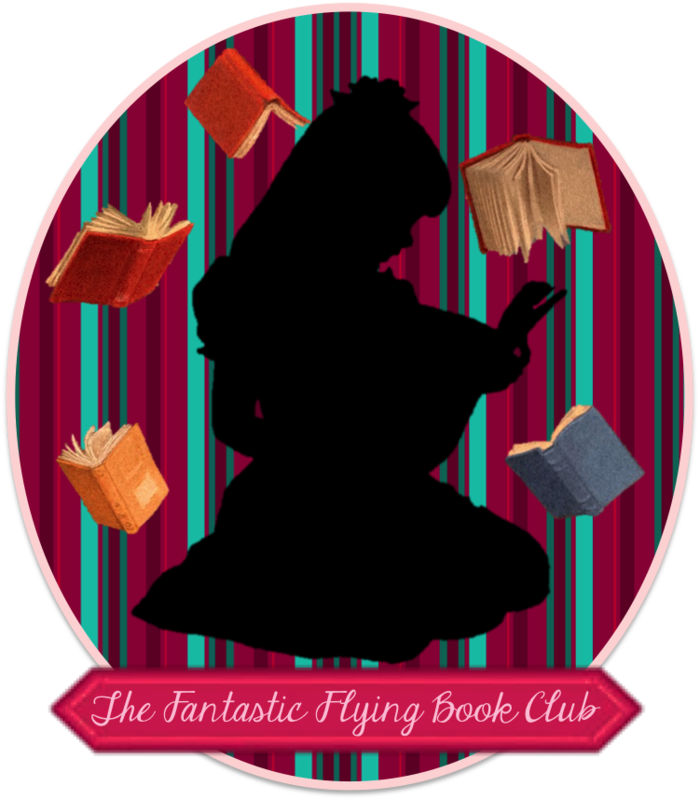 Desperately Wanting Wednesday (1): Books that give me evil thoughts! 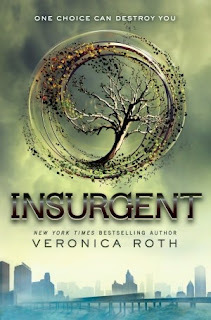 Saw this on A Soul Unsung's blog and it is so much what I've been feeling with all my jealousy about the Insurgent ARC's that I thought I'd join in this week! This was created by Parajunkee so that we don't only have to talk about upcoming releases, but can also talk about books that we've missed, have already been released, or that you want and haven't purchased yet. So here is my list, a few anyway. Because we're talking about books that could be older ones, I was sooooo jealous of anyone who got a Fever ARC. Since I also got the ARC for Wither, I wanted to keep reading that series in all ARCs too. I loved Wither, and so am again disappionted I didn't get an ARC. However Fever wasn't AS good as Wither, it was good, and I kind of would like the matching set of ARCs. And another one that I got as an ARC for the first book, but not the 2nd, was Crossed. I loved Matched. In fact my ARC of Matched didn't even have a picture on it, so I don't even have the pretty cover of the published book. But I still wanted a matching set. 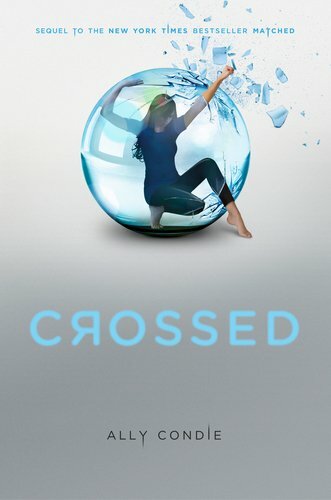 Again, Crossed was not as good as Matched, but like Fever, it carried the story on just right. So, there are others, but I'm going to end this post for now. What books give you evil thoughts? I think it was winter of 2010 when I first saw Across the Universe by Beth Revis on a display at the bookstore where I work part time. The cover was so great, but the title made me think it had something to do with the movie by that same title from a few years ago. A movie I wasn't a fan of. 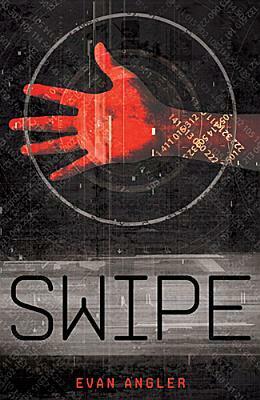 But then, the cover kept drawing me back, and finally I picked it up and read what it was about and was hooked. It seems there isn't much space science fiction for teens other than Ender's Game by Orson Scott Card. And I do like that type of science fiction. Especially the basis of the story. You may have also noticed several posts from me lately saying that I've been disappointed, or that 2nd books in series just haven't been quite as good as the first. In A Million Suns' case, that is sooooo not true! This book was extremely good. We had a mystery to solve, Orion, an Elder who went crazy and started killing the scientists and other people who were cryo-frozen, is now frozen himself, but has left a mystery for Amy. Amy has to hide. Now that Elder, who is now Eldest whether he likes it or not, took all the people on the ship off of the Phydus drug that kept them all calm and peaceful, they distrust Amy and think of her as a cause for all their current problems, lack of food, finding out that they haven't reached, and may not reach Centauri-Earth in their lifetime because of engine problems. Elder has a rebellion on his hand, in part led by one of his once best friends, Barti. In the midst of trying to solve all the problems with this, along with trying to help Amy solve Orion's puzzle, Elder goes outside the spaceship based on one of Orion's clues, and WOW!!!! What he finds is amazing! I literally gasped at what he found outside the ship. I won't spoil it for you, you need to read and be surprised just like I was. But once again, I say this is a great sequel, doesn't disappoint at all, such a great 2nd installment to a series. I am so ready to read the 3rd one now! If only I could some way get the ARC of the 3rd book, that would probably make my year! I've not read either of the two so far that way, but would love this time. Great, great, GREAT! book. 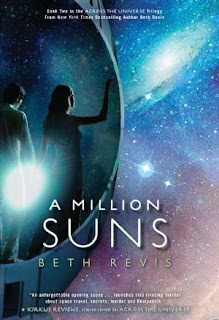 Go out and read A Million Suns as soon as you can! 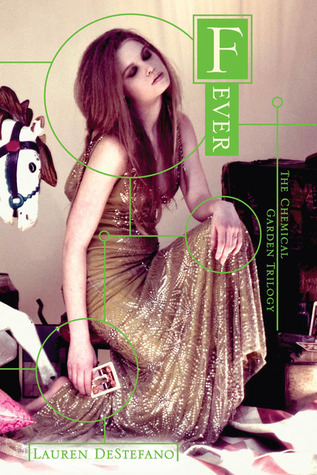 And if you haven't read the first one, Across the Universe, yet, do that quickly. 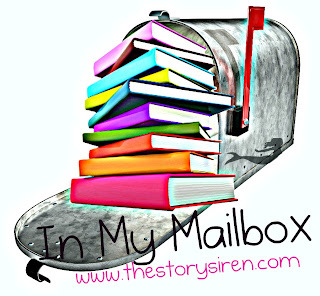 What did you get in your "mailbox" this week?